Très bonne qualité/prix, parfait pour les randonnées. 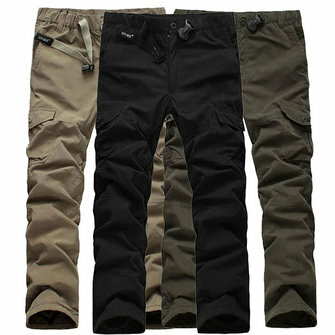 These are the warmest Cargo pants I have found, they are warmer than jeans or cargo pant with thermal long john under them! Wind does not get through them and when you put them on of a morning they feel warm where as other trouser are initially cold. Nice big pockets and wear well, my current ones are about 4 years old and still going well. Bien mais pas plus, les genoux déchire après un mois d'utilisation. Chaud,agréable a porter,bonne coupe,taille élastique avec ceinture clip très pratique.Je recommande.